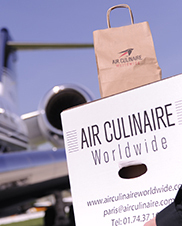 Air Culinaire Worldwide’s leadership mixes the perfect blend of food and aviation expertise. Outgoing and loyal, most of them have been with us for 11-14 years. Their creativity, dedication and teamwork have resulted in our services being available at hundreds of airports worldwide, making us a leader in the in-flight catering industry. With significant experience in food operations, Cliff’s role as Chief Executive Officer is to implement strategies that maintain our highly respected brand in catering, establish channels that provide clients with unparalleled service and create collaborative work environments for all personnel. Paul founded our company back in 2000 and his main responsibilities lie in growth and development of the business, including branding, sales, client services, international expansion and cultivating innovative products and services. He is also a licensed pilot with 23 years of aviation experience. Steven Roberts, who holds a degree in business with supplemental food science education, was professionally trained in the culinary arts through apprenticeships with Master Chefs Hartmut Handke (captain of the American Culinary Olympic team) and Victor Espinchan of the Watergate Hotel and Army-Navy Country Club. His culinary training was followed by several appointments with high-profile restaurants and resorts, including the four-star Greenbrier Hotel and the world-class Carambola Resort. He then served as Corporate Executive Chef for six years for Capital Restaurant Concepts, the top restaurant innovation group in Washington, D.C.
Steven has served as Vice President of Culinary Arts & Food Service Operations for Balducci’s of New York and provided leadership for the specialty retail group, as well as five food production facilities, a USDA facility and the restaurant division of the company. In 2004, Steven launched Nouveau Enterprises, consulting with restaurants, specialty food markets and manufacturers. Steven’s background includes merits such as an award-winning chef, operations specialist, new concept creator and supply chain specialist. With his vast culinary and management qualifications and expertise, Steven was brought on as our SVP of Global Operations during 2015. A Culinary Institute of America graduate, Chef Saverio has 16 years of in-flight catering experience and 8 years in kitchen operations. Saverio opened and ran the Air Culinaire Worldwide New Jersey/New York kitchen. He brings a culinary and operational background to the Network Team and Vendors. 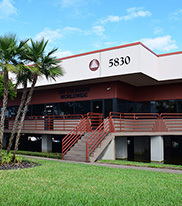 Saverio’s responsibilities include national sales, client management, contract negotiations, and the management and development of the sales team, Large Cabin and now the ACW Network. Deena is a CPA that also holds a Master of Business degree from Franklin University. Diligent and hard-working, she started with us in the Assistant Controller role, moved into the Controller position in August 2008, and was then promoted to her current position in January 2010. Chef Leemann’s passion for food started in his Swiss grandmother’s kitchen and lead to the New England Culinary Institute, The Four Seasons and Sky Chefs, before joining Air Culinaire Worldwide shortly after its inception. He leads research & development and new menu creation for our clients and our company. John Detloff has over 21 years in the culinary/aviation industry and specializes in training corporate flight attendants. John’s primary responsibilities include serving as a liaison to the flight attendant community where he will work to develop tailored order processes, as well as new menu assortment and training. Prior to joining Air Culinaire Worldwide, he spent 11 years as the Director of In-Flight Services for Victory Aviation, Huizenga Holdings and the Miami Dolphins. Prior to entering the aviation industry, John held positions as General Manager and Executive Chef for various restaurants and hotels. John’s experience with cabin safety, service and culinary makes him an expert in the lives of the flight crews we serve. He has a degree in culinary arts from the School of Culinary Arts and various certificates, including Certified Flight Attendant, EMT and American Red Cross Trainer. As a result of his travels to 68 countries, John knows firsthand what flight crews go through and how to help flight attendants give the best service to their passengers. Chef Frechette has 17 years of experience in fine dining and scratch-style cooking. He spent 12 years as an executive chef and as a food and beverage director with Hilton, and the previous six years as General Manager of our Boston kitchen. Tony now oversees our United States East Coast kitchens as Regional Director. A couple of his culinary accolades include a People’s Choice Award winner at “The Great Taste of Maine” event at the Governor’s mansion, for his Seafood Crepe with Lemon Goat Cheese Whip Cream. Anthony also received the People’s Choice Award for best specialty chocolate dessert in “The Annual Chocolate Lovers Fling” for his Chocolate Cordial served in a chocolate martini glass. Neil Pope brings 34 years of culinary experience to our team, with 7 years specialized in the niche of in-flight catering. 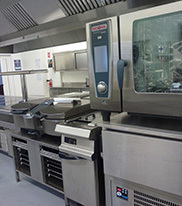 Neil has previously held roles in the company, including Executive Chef and Operations Director. His areas of expertise include development, training and kitchen management. Stacey was brought onboard in 2013 to launch our blog and social media presence. She brings 15 years of marketing experience to our team, with a focus on digital marketing. In addition to her marketing background, she has written the Pilot Operating Handbook and Maintenance Implementation Procedures for an amphibious aircraft. Stacey is a Tampa native and graduated from the University of South Florida with a bachelor’s degree in Management Information Systems. When she is not busy creating content at work or playing games with her son, you can find her indulging in arts and crafts. With over 29 years of experience in the business aviation industry, Monalisa Shaheen has established herself as a respected industry expert and continues to deliver impeccable customer service. Monalisa has received global recognition among business aviation leaders, and her drive has pushed her to succeed in a variety of positions within the field. As a graduate of Kent State University, Monalisa continues to use her degree in Education to benefit others. With her knowledge and empowerment, she helps lead groups, such as the NBAA Flight Attendant Committee and Women in Corporate Aviation. Monalisa has also participated as a speaker at several NBAA and Sales and Dispatchers conferences. She has native proficiency in Arabic and English, which helps her provide top-notch service to clients worldwide. Amanda joined the Air Culinaire Worldwide team March 2011 as a accounts payable clerk. Since then she has continued to increase her level of expertise and industry knowledge, resulting in her growth within our organization. She is excited to work with the accounting team in order to bring great opportunities for our customers and vendors as the industry and company continue to grow and evolve.